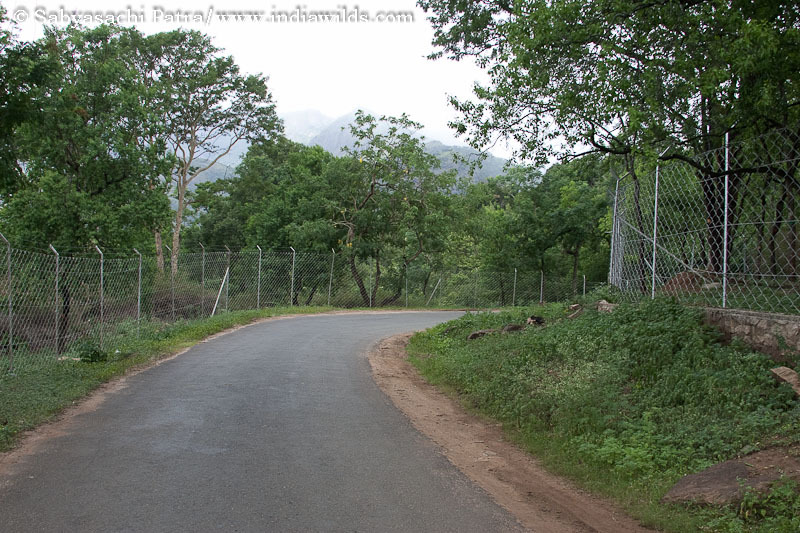 Monsoons are the best time to drive through a forest for the soothing greenery. The dry earth after a long summer season comes back to life with the first drops of rain. 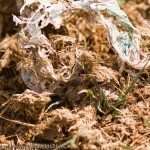 As the rains continue the grasses sprout and new leaves grow fast engulfing the entire landscape. With new grass there is a frenzied activity among herbivores. However, this season is very challenging for sighting our charismatic predators as the dense undergrowth limits our visibility. 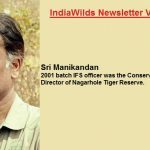 We were on a drive in Kabini, Nagarahole National park, in the beginning of monsoon season, which not only proved wrong the popular belief that one cannot sight predators in monsoon, but also gave us one of the best moments that one could ever witness in the wild. 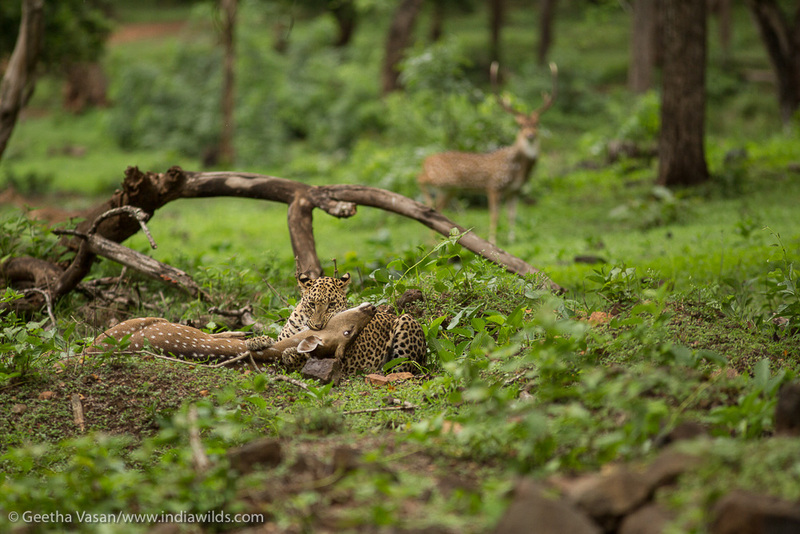 During the first few minutes of our drive, we sighted a very calm leopard sitting beside the track. It was an open place with just one odd tree in the middle and a junction where three safari tracks meet. 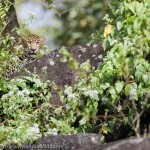 The weather was cloudy and we felt lucky to have sighting of a leopard, relaxed in its natural surroundings. 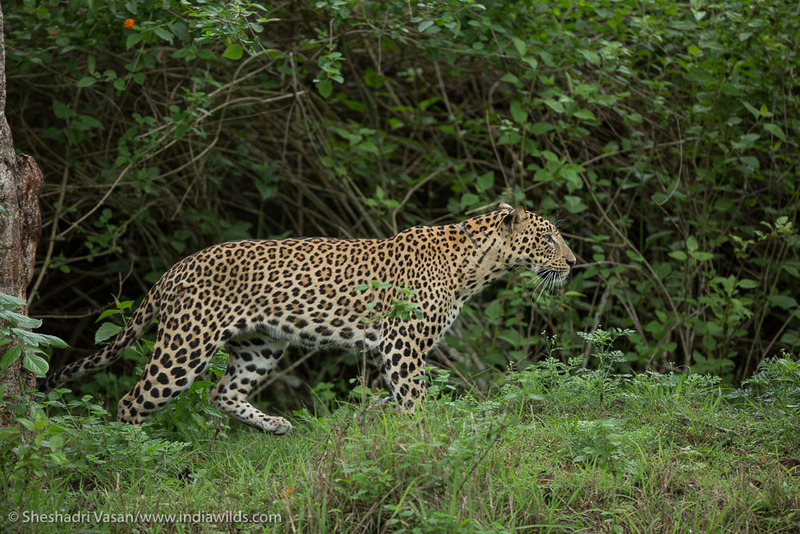 The leopard was very calmly looking all around and got up after sometime stretched himself and walked straight to get into the lantana bushes, behind him. He gave us some amazing habitat shots with the green backdrop. While he disappeared into the bushes our hearts sank. 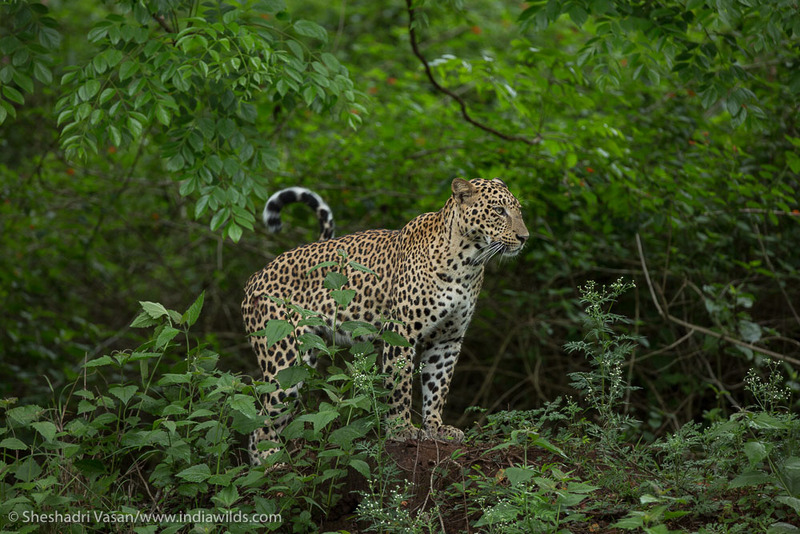 Our jeep driver instantly told us that the leopard would hunt as he was watching a herd of spotted deer and was planning his game. Unsure of this, but with a big hope in our hearts we decided to wait and watch. 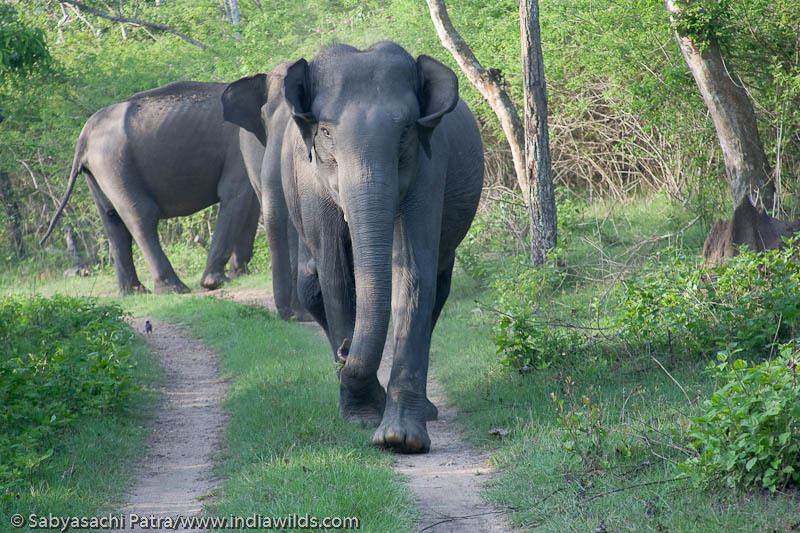 As we waited patiently for sometime, we noticed herds of spotted deer coming in from different directions very close to the place where the leopard had disappeared. 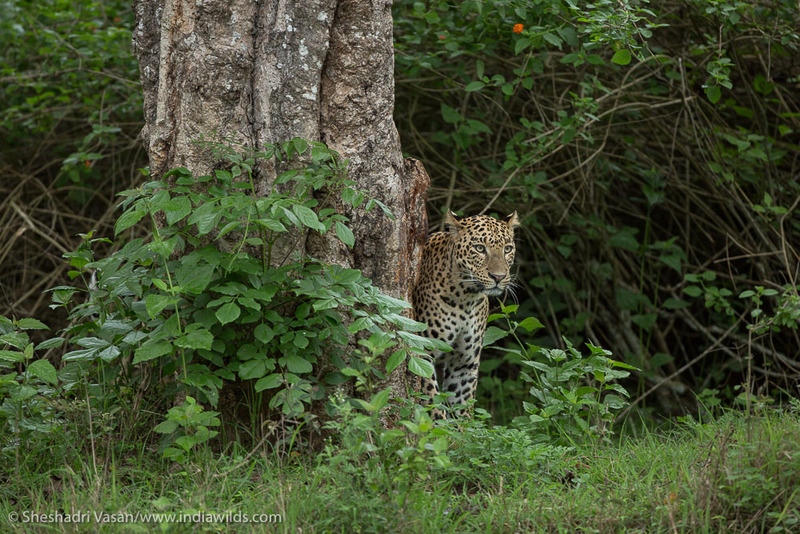 As the spotted deer did not give out any alarm calls we were unsure if the leopard was still there in the bushes or had moved on. We then noticed the wind direction was in the opposite direction and the deers were unable to catch the smell of the predator and hence kept grazing peacefully. Our hopes were still alive. And then suddenly we heard an alarm call from the herd of 50+ spotted deers that had assembled there and the herd panicked and began to run. At the same time in less than a second the leopard came out of the bushes in lightening speed and caught his prey. The camouflage was so perfect that it took several seconds for some people in our jeep to realise the hunt that happened in front of our eyes. 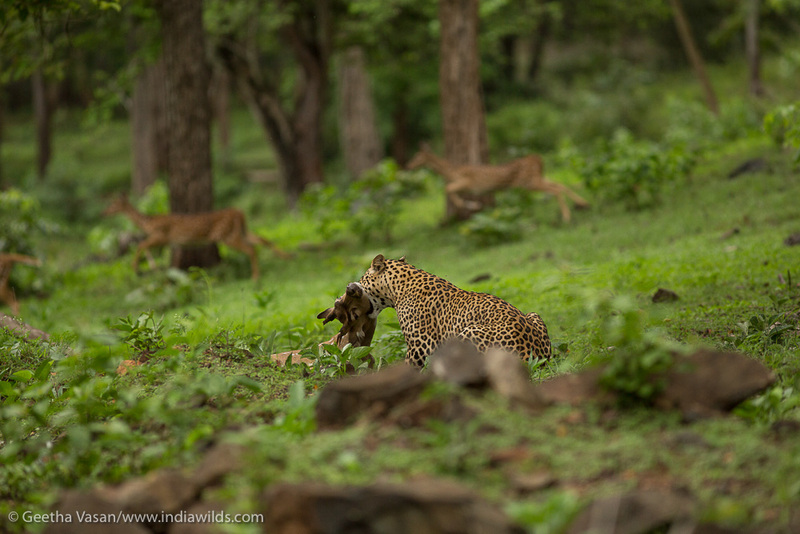 The leopard held firmly on to the throat of the fully grown female spotted deer while the family and friends of the prey alerted the entire forest with their strong alarm calls continuously. The calls still ring in my ears sounding like the bells from a holy place. 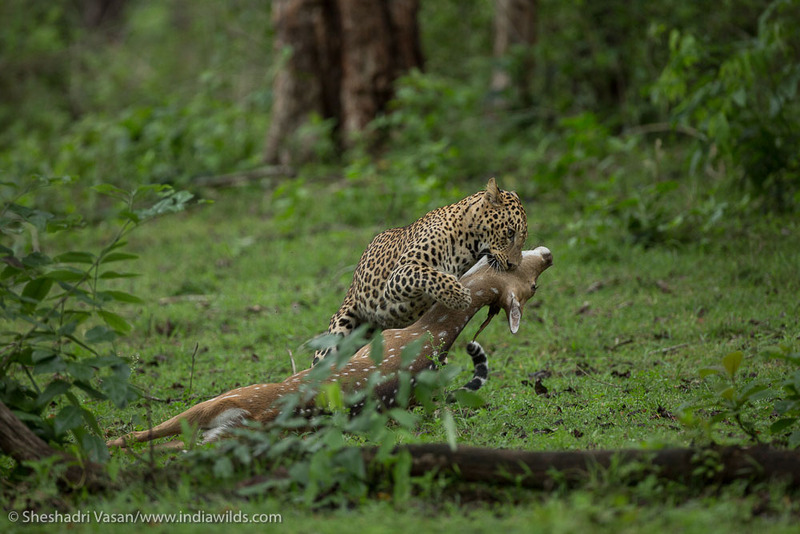 The leopard sat down holding the throat of the prey for few minutes till it was sure that the prey was dead and secure. 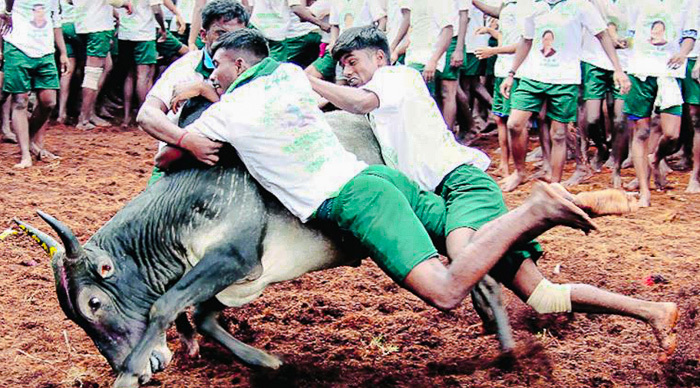 We could witness the prey struggling to escape and finally giving up. Once the leopard was confident that it’s prey was dead, he started to drag it towards the bush. As the prize for the day was quite heavy to drag, the leopard changed his position and tossed the prey to carry it into the bushes. Just before he disappeared into the bushes, he stopped and turned around for a few seconds to give us one last glimpse of his victorious catch for the day. Watching the eyes of the prey and predator together – ‘ one victorious and the other hunted’ is definitely the best moment of our wild life experiences. The stronger of the two had survived and Darwin was right again. In a jungle, fortune changes every moment. The leopard stood up at 7.46 am and started stalking within a minute. 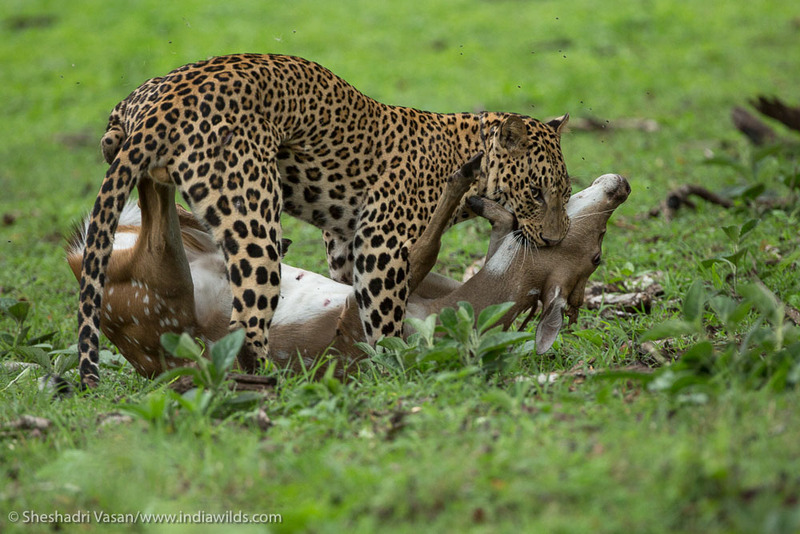 The leopard caught the deer at 8.05 am. At 8.07 am the leopard started dragging the deer away into the bush. 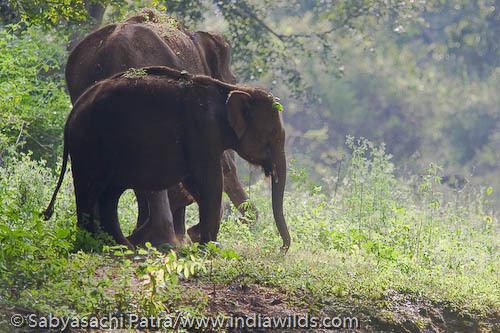 Within a few minutes, the jungle was silent and the denizens returned to their daily chores. 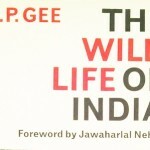 Prey and Predator, Life and Death, Hope and Fear, the cycle of life continues in the most primordial manner.